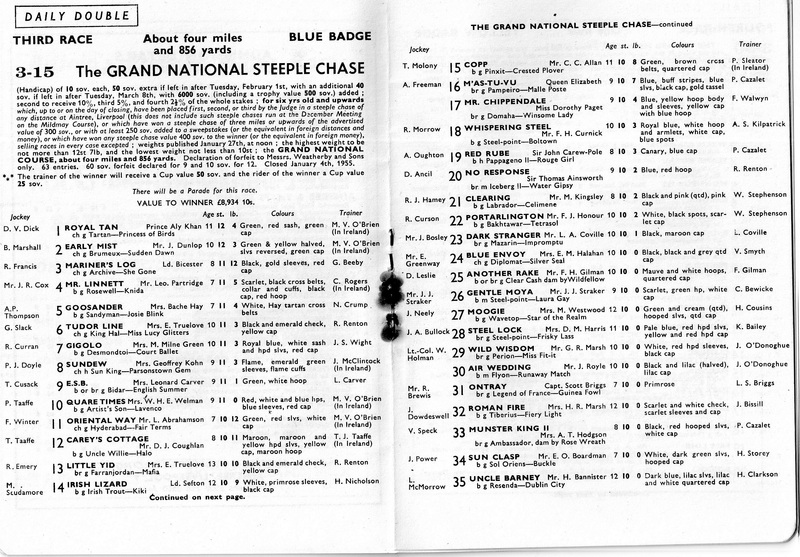 This was run on Saturday 26th March 1955 and was won by Quare Times ridden by Pat Taaffe when 30 ran. The winning time was 10 minutes 20 3/5secs. 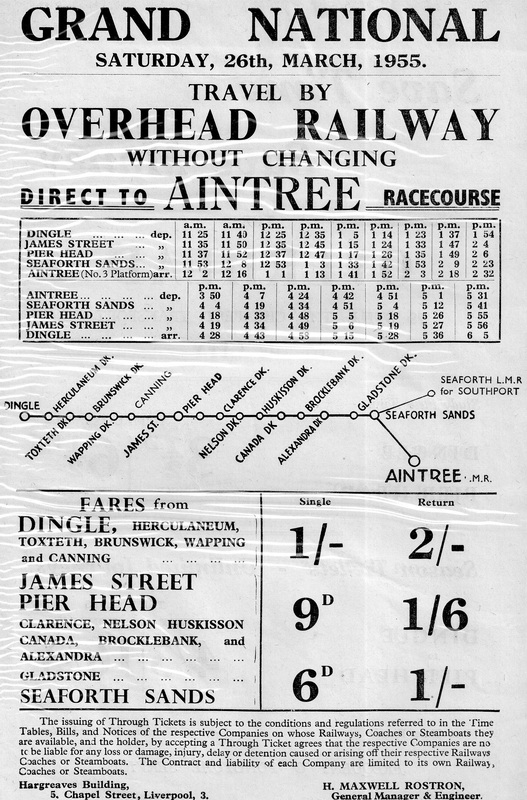 The rare handbill shown below is provided courtesy of the Robert Shaw collection.